You've heard the saying that "first impressions are everything" and "a picture is worth a thousand words". What does your website tell your customers? What are your competitors doing in 2017 that you wish you were doing? The Extang.com website was completely overhauled with a mix of both fresh and re-purposed content. 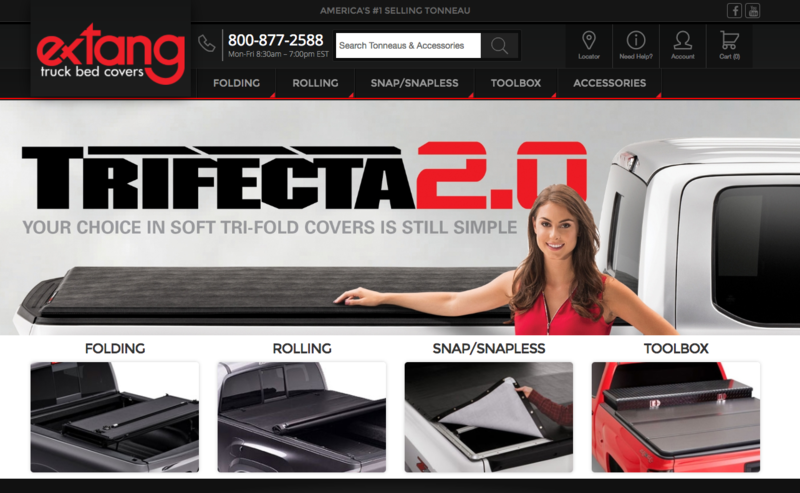 Users are able to browse rich visual navigation menus and learn about each product line through detailed landing pages and verify fitment of products to his or her truck. In addition, Extang Dealers now have a portal to access exclusive content, digital assets, and can order replacement parts right from the portal. "The team over at Web Shop Manager just finished a large project for us and we are very happy with the results. Ryan and Marco both did a fantastic job on design and Dale was a true pleasure to work with on a day to day basis as the lead project manager. I feel that the entire team at WSM bent over backwards and went above and beyond to make sure we had exactly what we were looking for on time and on budget. I highly recommend." We're very proud of our customer's hard work and dedication to their brand. My team will be at these two events, if you're planning to attend, we'd love to chat with you. Oh, and we're hiring! Click here to learn about career opportunities with Web Shop Manger.